Janel E. Bergsbaken is an associate attorney with Godfrey, Leibsle, Blackbourn & Howarth, S.C. Janel earned her law degree in 2015 from the University of Wisconsin Law School, where she served as the Editor-in-Chief of the Wisconsin Law Review and a Managing Editor of the Wisconsin Journal of Law, Gender & Society. While in law school, Janel was honored with the Gwynette E. Smalley Law Review Prize and was inducted into the Pro Bono Society. 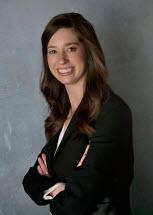 Janel gained significant litigation experience through her internship with a Wisconsin district attorney’s office. While an intern, Janel was the lead attorney for numerous hearings and court trials. Janel's law practice concentrates in civil litigation. She is a member of the State Bar of Wisconsin and is licensed to practice in Wisconsin.